Wyandotte County District Court Judge Robert Burns tossed the cases on Friday against three executives and two companies associated with Schlitterbahn, the company that built the 17-story attraction, according to court documents obtained by CNN. The multiple charges included second-degree murder and aggravated battery. Burns said the grand jury had been “irreparably tainted by the introduction of illegal evidence” by the Kansas Attorney General’s Office. Court documents say the defendants complained the grand jury was shown a “highly dramatized” TV show about the incident and were told about an unrelated death at another water park. The slide was called Verruckt, which means “insane” in German. It was certified in 2014 as the world’s tallest waterslide. Caleb Schwab started down it strapped into a raft with two women. He was decapitated when the raft went airborne and hit overhead hoops and netting attached to the slide, investigators said. The women suffered facial injuries and cuts. 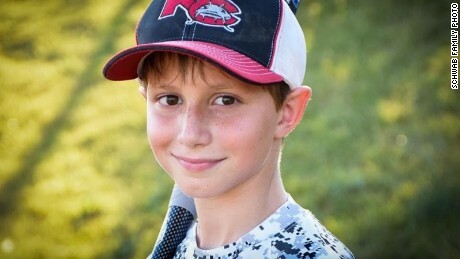 The boy was the son of Kansas Secretary of State Scott Schwab, who was a state representative at the time. Kansas Attorney General Derek Schmidt said he was disappointed by the ruling, which left open the possibility of future charges.